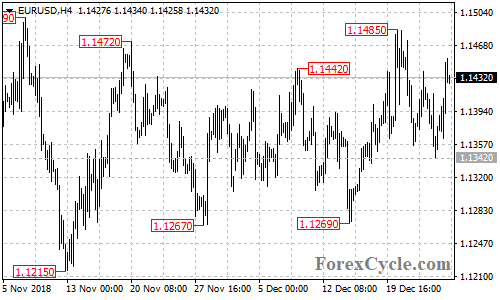 EURUSD remains in the downtrend from 1.1485, the bounce from 1.1342 is likely correction for the downtrend. Another fall towards 1.1267 support is still possible after the correction. Resistance is at 1.1485, only break above this level could trigger another rise towards 1.1500.